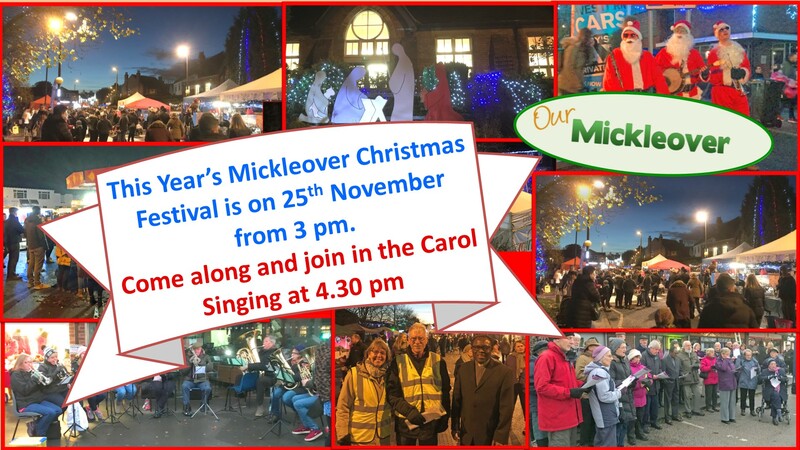 Although it is a suburb of Derby, Mickleover has its own identity and is often referred to as “The Village” by locals. 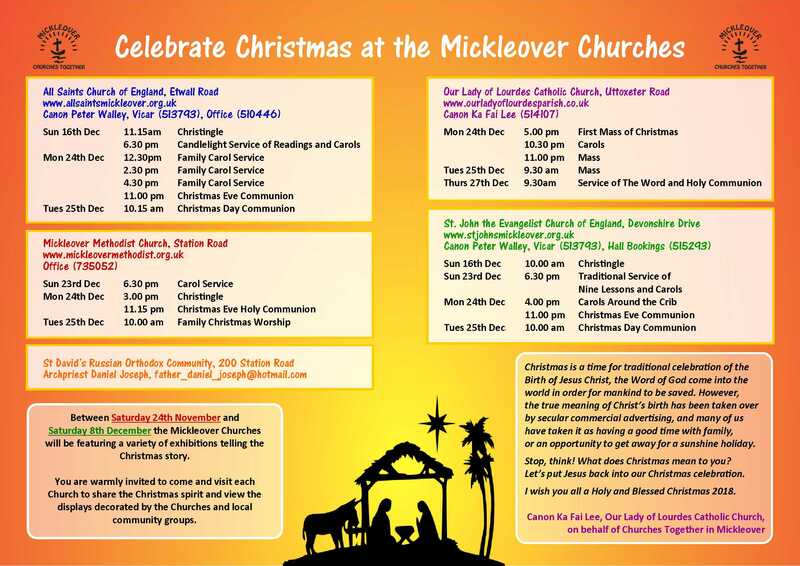 This site was created by Churches Together in Mickleover to bring together information from a wide range of sources into one place, to give residents, visitors and those considering a move here a good overall picture of everything you can do in the village. Unfortunately the information became outdated and to date we have been unable to refresh it comprehensively. It now shows only some highlight community events. 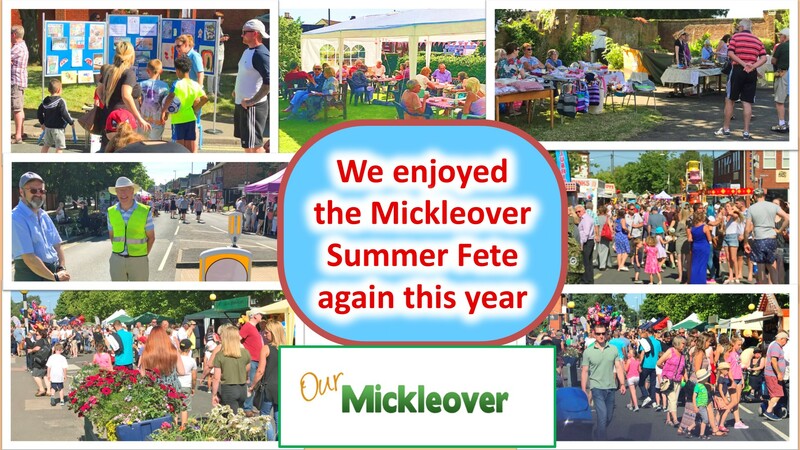 is a group of Mickleover people who have the aim of binding together our ever-expanding suburb to keep that ‘village’ feel. To learn more, go to our Facebook Page. 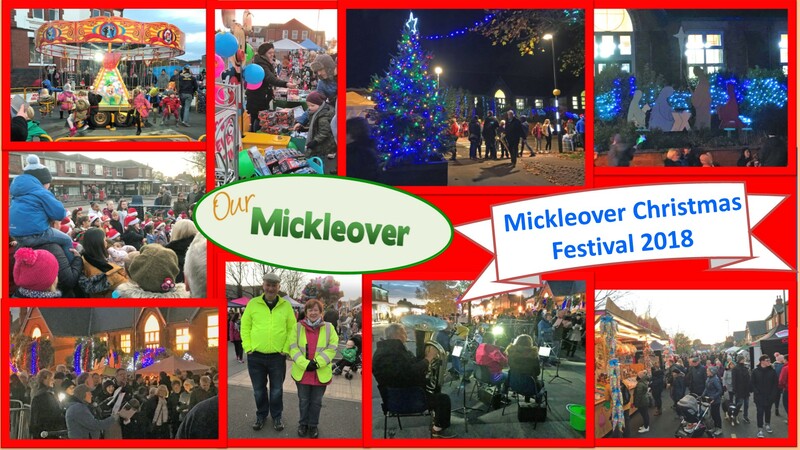 The Our Mickleover Christmas Festival was held on 25th November on Uttoxeter Road between the Tesco roundabout and All Saints Church. This entry was posted in Uncategorized by MickleAdmin. Bookmark the permalink.